The goal of our Email Self-Defense guide is to show everyone that email encryption is a necessary, easy, and accessible way to fight mass surveillance with free software. We know that if we want to reach people around the globe, it's going to take more than one language. That's why today, we're proud to announce translations into German, Brazilian Portuguese, French, Russian, Turkish, and Japanese, as well as an ongoing effort to make the guide and infographic available in as many languages as possible. Mass surveillance is a global issue, with many governments and corporations colluding across borders to track us throughout our digital lives. Inter-country communication is particularly subject to government surveillance, as many states' privacy laws are much less protective of outsiders. These scary truths are part of the reason this translation project is important. We'd like to highlight that, while the FSF coordinated the translation process and maintains the Web site, all of the translation was done by volunteers. We're grateful to this international community of active free software supporters. While coordinating the translations, we've made improvements to the guide itself, incorporating feedback left by users on our LibrePlanet community wiki and from encryption experts. With the help of a volunteer, we even created Edward, a friendly email bot that helps Email Self-Defense users test their new encryption systems. 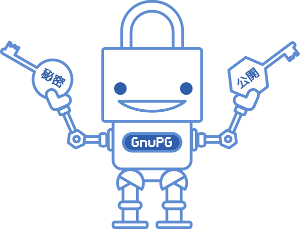 Edward is free software under the GNU Affero Public License, and you can download his source code. We want to keep improving Email Self-Defense so that it can have the biggest impact possible. We're particularly interested in adding instructions for encryption on mobile devices, as well as an FAQ to help troubleshoot common problems. Can you donate to help us do this important work? If you don't have dollars, you're also welcome to donate in Bitcoin or Litecoin. This launch is just the beginning of an initiative to get Email Self-Defense translated into as many languages as possible. Spanish, Malayam, Korean, Romanian and Greek translations are currently underway. If you'd like to create a version for a language that we haven't published yet or help maintain one of the existing translations, please send an email to campaigns@fsf.org. Email Self-Defense is only one important piece of the solution to bulk surveillance. While we learn email encryption tools, we also need to push politically to reign in surveillance, build a safer Internet, and force governments and companies to reduce the amount of data they collect about us in the first place. We hope translated versions of Email Self-Defense can be the entry into this multifaceted movement for people all around the world. If you'd like to receive some of the messages on this list in Spanish or French as well as English, you can update your language preferences.